As menacing people think this apex predator is, sharks are actually endangered, sad to say. They are an important key to balancing the ocean’s ecosystem. My Tiger Shark is simply enjoying her life in the bountiful sea. This my “green” drawing. Happy St. Patty’s Day! 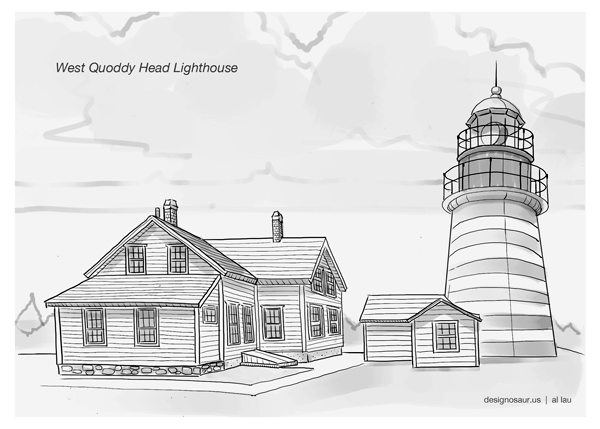 This cold weather is making me long for summer at the beach, so here is a drawing of a lighthouse. Can’t you just smell the salty air and feel the warmth of the sun on your face?